Japanese student with a cute twintails hairstyle wearing a vest over shirt, plaid skirt, Hello Kitty handbag, strawberry ring, and platform shoes. 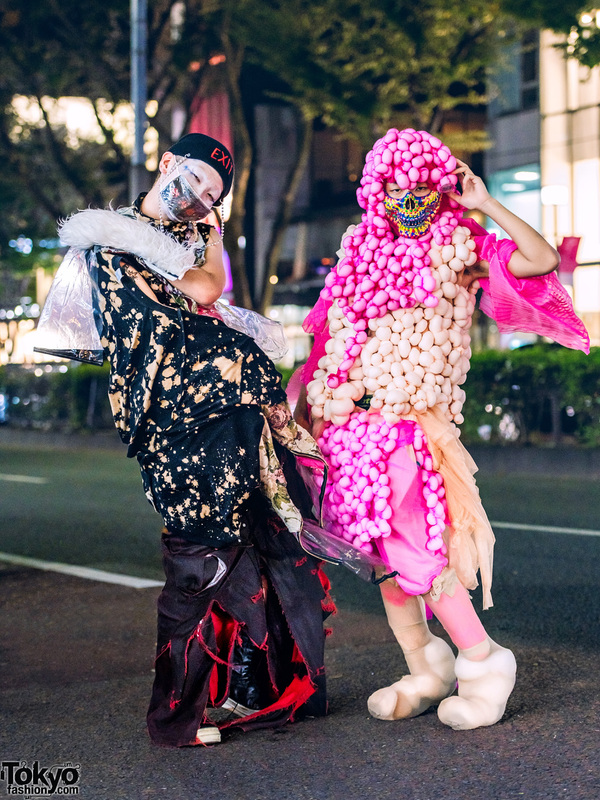 Harajuku guys in avant-garde edgy styles while out and about on the street one evening. Pink-haired Harajuku teen in edgy menswear street style while out and about in Harajuku. Japanese student wearing a layered vintage street style with a maxi coat, animal print, and floral print. 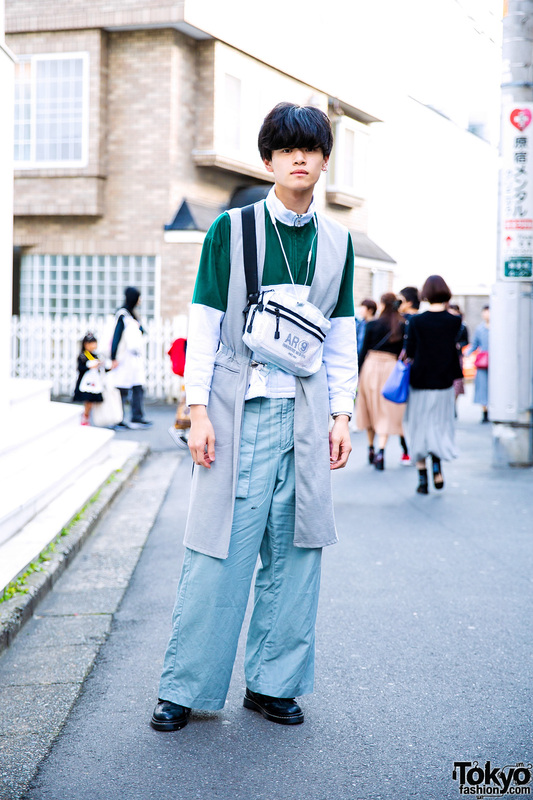 Harajuku guy wearing a grey vest, a zip-up top, wide-leg pants, and black leather shoes. Japanese students in Christopher Nemeth printed street styles while out in Harajuku. 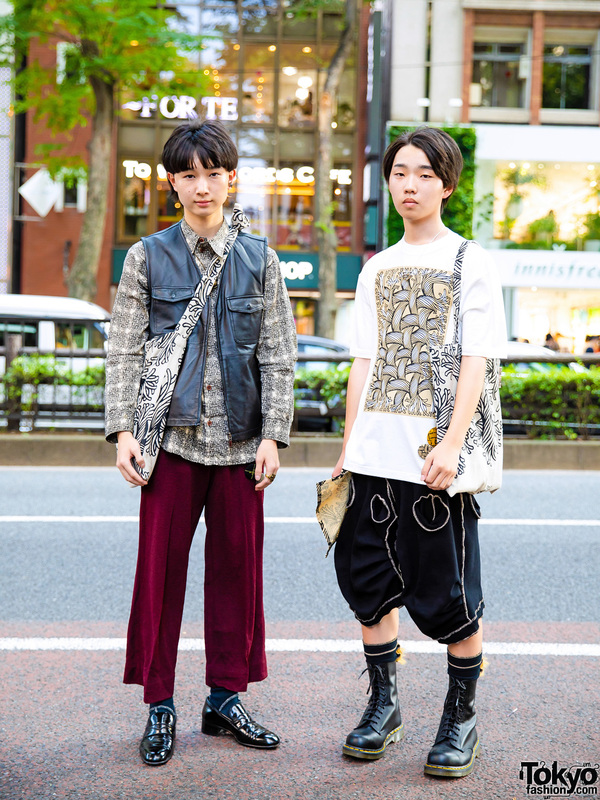 Harajuku guys dressed in vintage sleeveless tops and denim pants while out and about on the street. 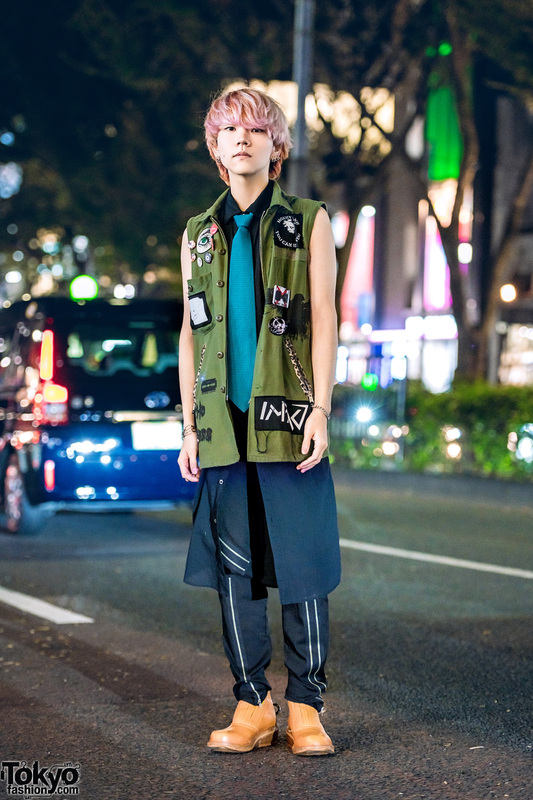 Harajuku teen in sporty casual look with pocket vest, Big Bang Theory t-shirt, matching mint jacket and track pants, and white penny loafers. 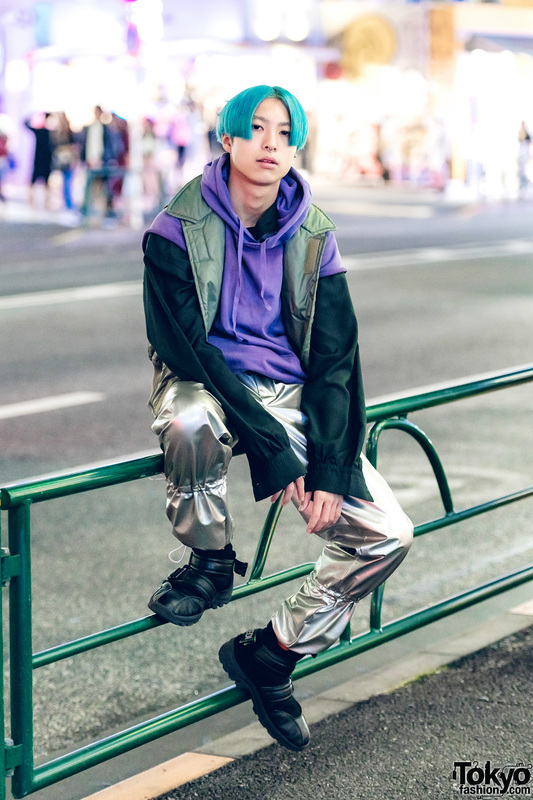 Blue-haired Japanese guy in vintage streetwear while out in Harajuku. 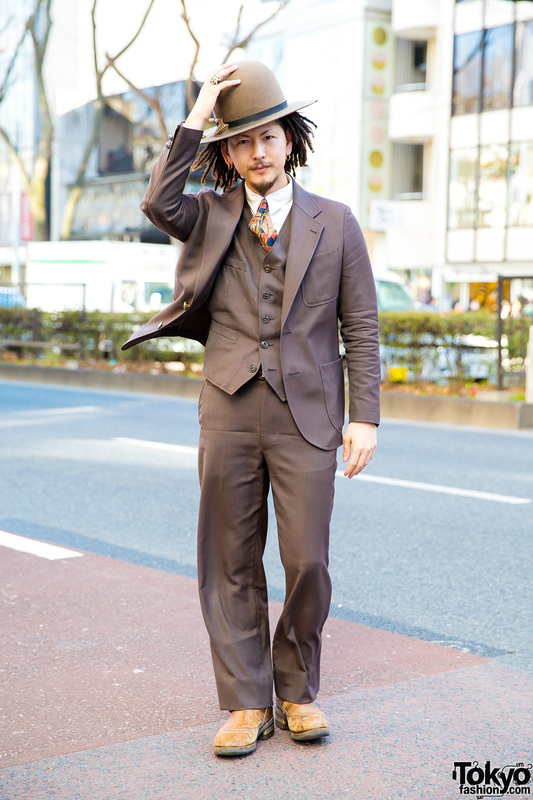 Japanese creative artist Ben sporting a dapper look while out on the Harajuku street.